Many of you worry about your results/future even though examinations have not yet started. It is one phase in life that we all go through. 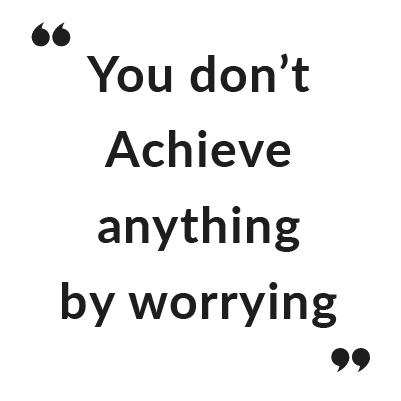 I want to say that, worrying is not going to take you anywhere. All I did while preparing for my board exams was, trust in God (Proverbs 3:5, 6). I knew I was not the smartest in the class and there was no way I was going to get the highest rank if I relied on my strength. So I learned to let go, study to my best abilities and leave the rest to God. What happened after that? To my surprise, I scored the highest in my board exams! Although unexpected, God honored my decision to let go and submit to Him. Sometimes we tend to lean on our wisdom but as the saying goes, “A wise man makes his own decisions, an ignorant man follows the public opinion.” Sometimes we follow others because their opinion is loud in our ears, but sometimes they can be wrong. They can lead to unwanted stress, failure, fear, and depression. This exam season, let’s be wise and submit to God. As we do that, He will make our paths straight. He will help us score more than what we had expected. Whatever you might think is impossible, He will make it possible. He will make ‘Hakuna Matata’ come true in your life – only joy and no worries. Trust in Him and submit your exams to Him.